Please type your desired tags, e.g. Theoretical, Physical or Analytical, Microbiology, Physics, Political Science, Public and Nonprofit Management, Hyperpolarized MRI, Biochemistry and Biophysics, Bionanosciences, Materials Science and Engineering, Transcriptional Regulation, Chronic Pain, Single Cell Genomics, Enhancer Mechanisms, Marriage, US History, and etc. 2007–2007	CSMA-based MAC Protocol for Cognitive Radio Based Multi-hop Wireless Networks. IEEE International Symposium on a World of Wireless, Mobile and Multimedia Networks (WoWMoM), June 2007. 2001–2001	Issues in Message Passing for a Tele-Immersive Experience, R. Prakash, Sixth International Workshop on Object-oriented Real-time Dependable Systems (WORDS'01), Rome, January 8-10, 2001. 2002–2002	Effect of Availability Factor Threshold and Clustering Gap on Performance of Clustering Mechanisms for Multi-cluster Mobile Ad Hoc Networks, R. Prakash, ICC 2002, New York, March 2002. 2006–2006	Reliable Broadcast in Wireless Mbile Ad Hoc Networks. Hawaii International Conference on System Sciences (HICSS'06), Kauai, Hawaii, January 2006. 2000–2000	A Tunneling Approach to Routing with Unidirectional Links in Mobile Ad-Hoc Networks. IEEE International Conference on Computer Communications and Networks (ICCCN), Las Vegas, October 16-18, 2000. "Professional Recognitions, Honors, and Memberships"
Certificate of Achievement: for continuous exemplary contributions to Ph.D. education and research in the Erik Jonsson School of Engineering and Computer Science, U.T. Dallas, September 2006. Outstanding Service Award, Erik Jonsson School of Engineering and Computer Science, U.T. Dallas, September 2006. Best Paper Award, Software Technology Track, Hawaii International Conference on System Sciences, January 2006. Appointed Associate Editor, IEEE Transactions on Mobile Computing, August 2005. CAREER Award, National Science Foundation, 2001-2006. Nominee: Chancellor's Council Outstanding Teacher award, 1999-2000, 2000-2001, University of Texas at Dallas. Excellence in Teaching award, 1999-2000, 2001-2002, Department of Computer Science, Erik Jonsson School of Engineering and Computer Science, University of Texas at Dallas. Selected among top three papers, 1999, Mobility in Databases and Distributed Systems Workshop (MDDSDEXA'99), Florence, Italy, August 30 - September 3, 1999. To be published in ACM/Baltzer Mobile Networks and Applications (MONET) journal. 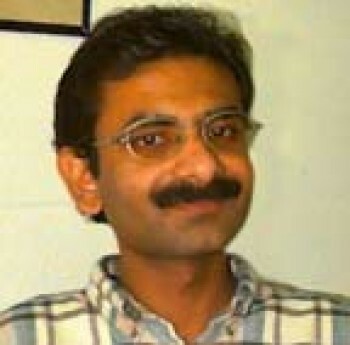 Selected among best five papers, 1999, InternationalWorkshop on Discrete Algorithms and Methods for Mobile Computing and Communications (DIALM), Seattle, August 20, 1999. Best Paper, 1998, Eighteenth International Conference on Distributed Computing Systems (ICDCS'98), Amsterdam, The Netherlands, May 26-29, 1998 (in a ve-way tie for best paper), Institute of Electrical and Electronic Engineers (IEEE). Presidential Fellowship, 1996, The Ohio State University. Awarded to doctoral students judged to have outstanding research ability and promise. Outstanding Paper Award, 1994, The International Symposium on Parallel Architectures, Algorithms, and Networks (ISPAN), Kanazawa, Japan, December 1994. The Best B.Tech. Major Project Award, 1990, award given to the best project in the Department of Computer Science and Engineering, Indian Institute of Technology, Delhi. Implemented a fault-tolerant file system with disk-mirroring. Two UT Dallas computer science faculty will be working closely with AgileMesh Inc., a North Texas company that has received $2 million from the Texas Emerging Technology Fund (TETF) to further develop its technology. “We will be helping AgileMesh build technology in the area of mobile ad hoc networks, an area of wireless networks that enables instant deployment,” said Dr. S. Venkatesan, an associate professor of computer science in the University’s Erik Jonsson School of Engineering and Computer Science. “This has immediate application in disaster areas, rescue efforts and other situations in which installed communication infrastructure does not exist or is inadequate.” Venkatesan and Dr. Ravi Prakash, also an associate professor of computer science, have more than 30 years of experience in the field. They’ll be developing methods that enhance AgileMesh’s products by significantly improving usability and performance. 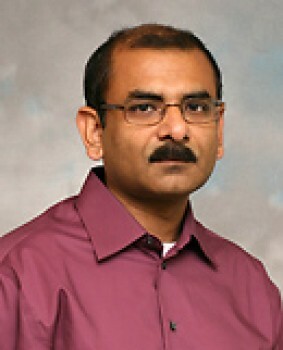 Dr. Ravi Prakash, assistant professor of computer science at The University of Texas at Dallas, has been granted a Career Award from the National Science Foundation (NSF) for his work in mobile computing and wireless networking. The award, worth $250,000 over the next five years, is part of the NSF’s Faculty Early Career Development program, also known as CAREER. The Career Award is the NSF’s most prestigious honor for junior faculty members and recognizes and supports the early career development activities of the teacher/scholars who are most likely to become academic leaders of the 21st century. Recipients are selected on the basis of creative career development plans that effectively integrate research and education within the context of the mission of their respective institutions. 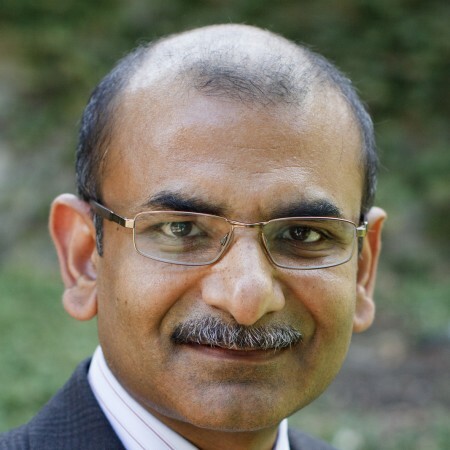 Prakash’s area of research and expertise involves mobile networks, specifically developing new solutions for mobile ad hoc networking and evaluating the performance of those solutions by computer-simulated experiments, possibly building small prototypes as research advancements are made. Five UT Dallas educators were recently honored with President’s Teaching Excellence Awards for their outstanding efforts in the classroom. The award recipients received medallions at the University’s annual Honors Convocation on May 10. They also were recognized at an April reception hosted by the Center for Teaching and Learning, where center director and associate provost Dr. Paul Diehl said the awardees were chosen from an outstanding group of nominees from across the campus.